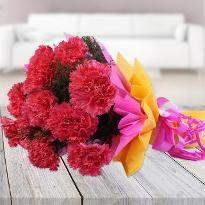 Flowers utters with just their gorgeous beauty. 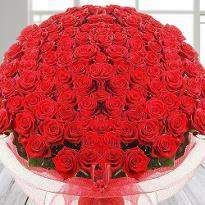 Anyone who is not able to convey their emotions then flowers will be the best companion. 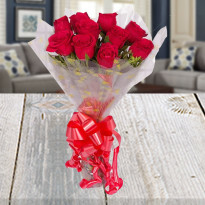 If you have decided to speak your heart out then this Valentine's day then prefer online Valentine's day delivery in Ranchi and get gorgeous blooms delivered right to the doorstep of your special one. 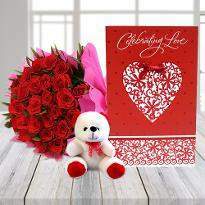 Valentine is the perfect day to express your unsaid feelings toward your beloved one, and it also gives you an opportunity to show how much you love and care for your beloved one. 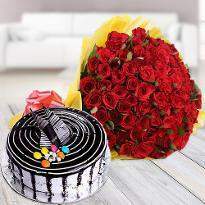 You can send Valentine flowers online in Ranchi from Winni as we have the wide variety of Valentine flowers that you can choose from our Valentine floral category. 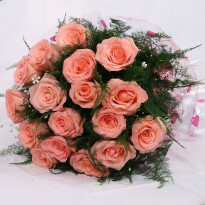 You can also find roses, carnation, gerberas, lilies and much more flowers in Valentine floral category. 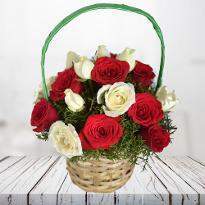 Whether your relationship is new or old, you can always spark the romance in your relationship by sending the colorful Valentine flowers at the doorstep of your sweetheart residing in Ranchi. 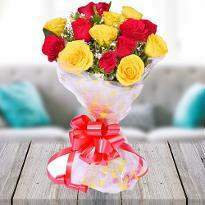 Our Valentine flowers are hand-picked and freshly packed in such a way that they will win the heart of your beloved one. 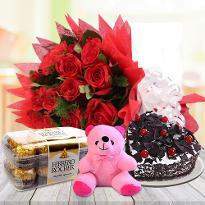 You can also choose the various types of arrangements; we have Valentine flowers in bunches, bouquets, basket, heart-shaped, etc. 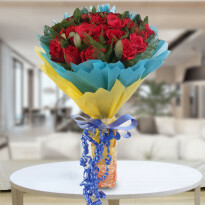 Placing an order from our website is so easy as all you need are a few clicks and your order is placed. 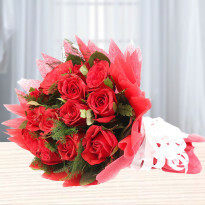 You can find all kind of Valentine flowers at the best prices in our Valentine floral category. 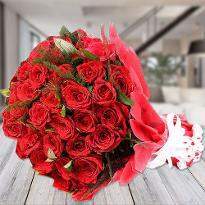 So this Valentine put a wide smile on the face of your lover by sending him/her their favorite Valentine flowers online from Winni. 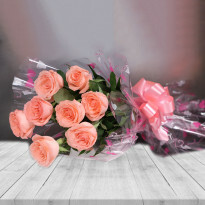 You can place your order from any part of the world, and since we care for your emotions and occasion, that is the reason you can be sure that your Valentine flowers will reach safely at the hand of your lover online from Winni. 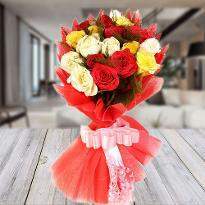 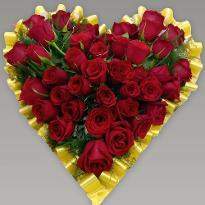 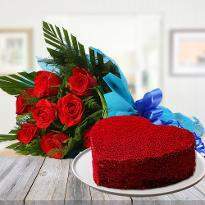 You can send the lovely Valentine flowers anywhere in Ranchi from our website. 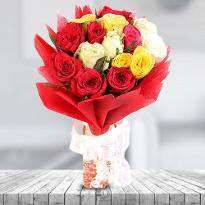 You also don’t have to spend your valuable time visiting multiple local florists and wait in queues. 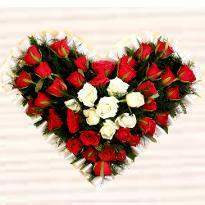 It is a fact as on special occasions like Valentine prices of flowers reaches the sky and you have to face traffic jams too. 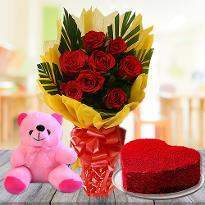 As now you can avoid all these situations by simply placing an order for Valentine flowers online from Winni. 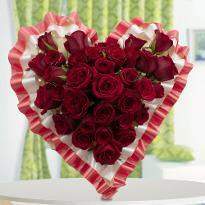 You can give a personal touch to your Valentine by sending a personal message along with your Valentine flower Winni. 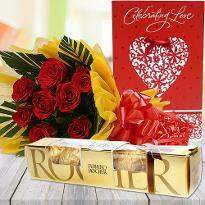 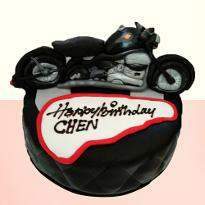 You can also place your order in advance or for the same day if you wish to avoid last minute rush. 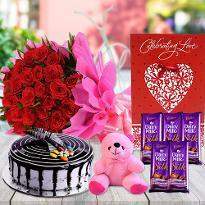 Winni also lets you plan a perfect surprise for your sweetheart on this Valentine's day, as you can select a midnight delivery option and we will deliver your Valentine gift at the doorstep of your loved one at midnight. 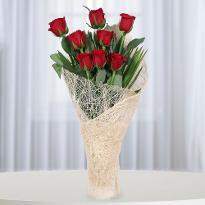 So place your order online for Valentine flowers from Winni and enjoy the hassle free delivery.